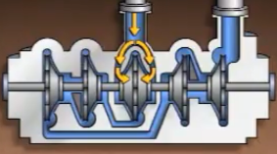 All centrifugal pumps work by creating a centrifugal force. 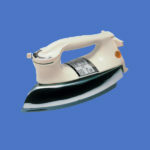 This force moves the liquid through the pump and increases the liquid’s pressure. In applications where large increases in pressure are needed multi-stage centrifugal pumps are often used. A multi-stage centrifugal pump contains two or more impeller and volute in a single casing. 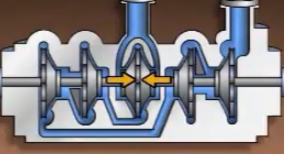 Here’s a simplified cross-section of a three-stage centrifugal pump. 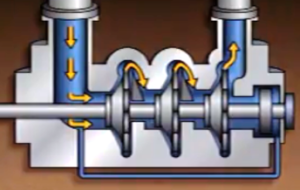 Each stage of the pump has its own impeller and volute. In the volute, the pressure of the liquid increases each of the first two volute discharges into the suction eye of the stage that follows it. 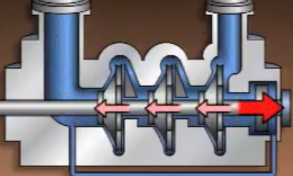 The third stage volume discharges into the outlet of the pump so in this pump the liquid flow path is from one end to the other. This is a five stage pump. 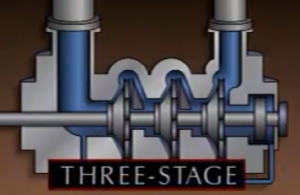 It has five impellers and five volute is the first three stages are located left and the fourth and fifth stages are located right side. 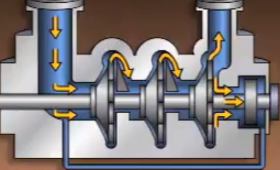 Regardless of how the impeller is on a centrifugal pump are arranged. 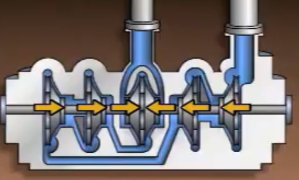 Or how many stages a pump has the liquids Pressure Increases as it passes through each stage. This creates a thrust across the impeller in each stage. 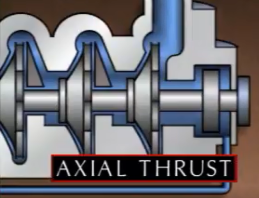 This thrust is known as axial thrust. This caused by the difference in pressure between the suction eye and the volute. Because there is a difference in pressure across the impels axial. The thrust is created and it tries to push the pump shaft toward the suction eyes in order for the pump to operate properly. And must be offset on some pumps. The thrust is offset by using a thrust bearing or a device known as a balance piston or balance Dram other pumps. The thrust is offset by the arrangement of the Impalas. 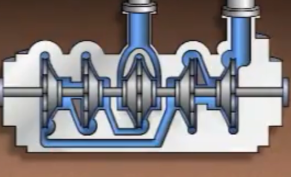 This pump has a balance piston during operation. Some of the fluid leaving the pump flows along the shaft and exerts pressure against the balance piston. 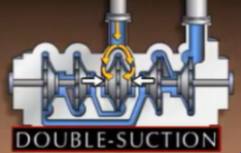 That pressure tends to force the pump shaft away from the suction eyes and reduces the total thrust. 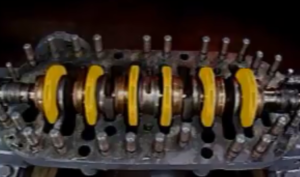 Any fluid that passes by the balance piston is returned to the suction side of the first stage. 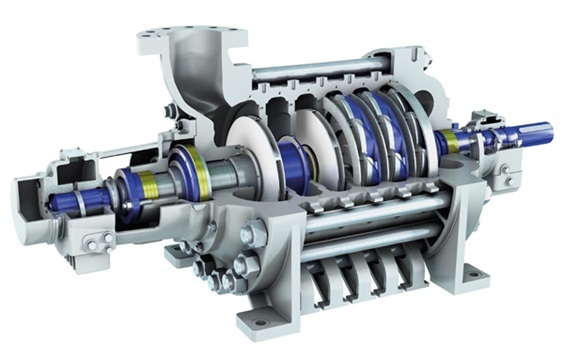 Now on this Pumps, the arrangement of the impeller is used to offset axial thrust process. Now liquid enters the first stage impeller from both sides so the pressure is on both sides of the impeller are equal. The suction ice for the second stage and third stage impellers face in the opposite direction from the suction eyes of the fourth stage and fifth stage impellers. Since the force is caused by axial thrust or in opposite directions. 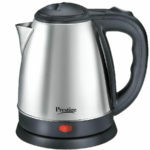 They tend to cancel each other out as a result axial thrust in this pump is kept to a minimum.